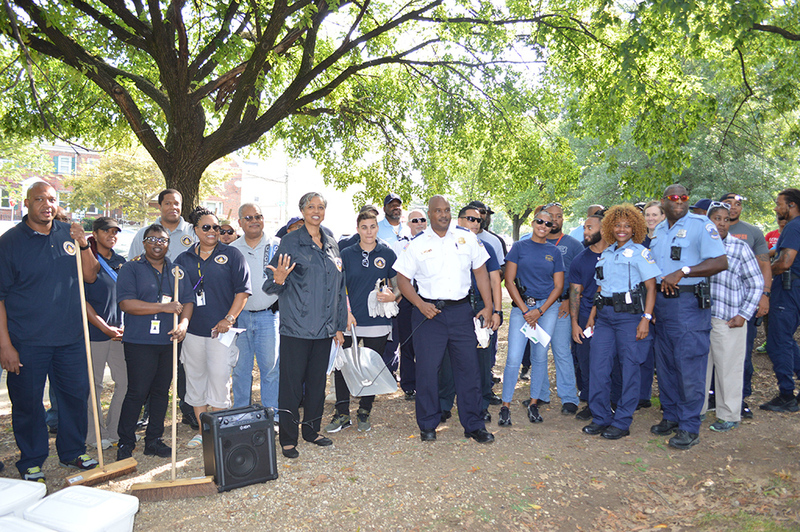 On Thursday, August 31, 2017, officers and employees of the Court Services and Offender Supervision Agency (CSOSA) and the Metropolitan Police Department (MPD) joined forces to participate in a community clean-up event. 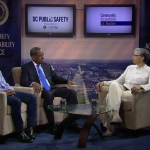 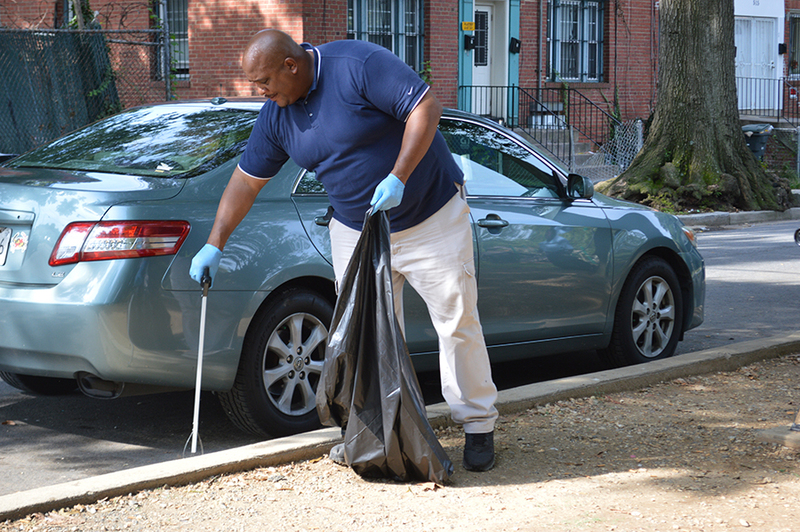 “Team Up to Clean Up” was part of the District of Columbia’s Summer Crime Initiative (SCI) Close-Out and built on the longstanding public safety partnership between these two agencies. 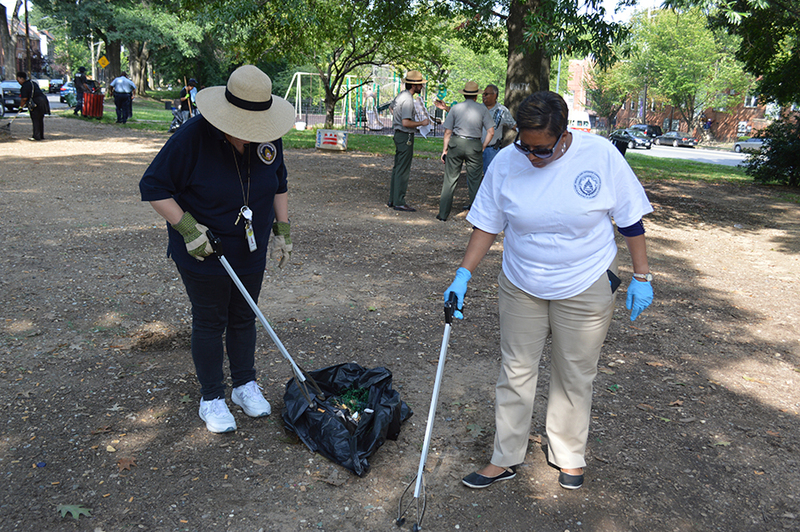 The “Team Up to Clean Up” volunteers cleaned up trash and separated recyclable debris in selected SCI areas of the 5th, 6th and, 7th police districts. 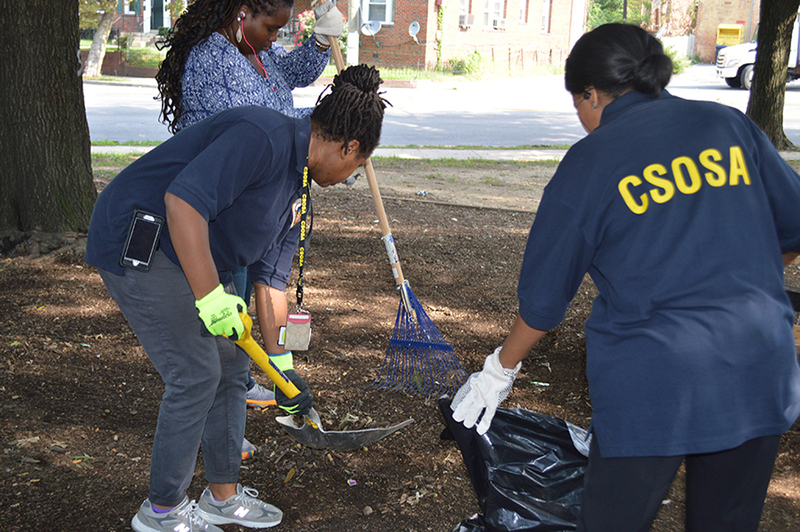 Specifically, volunteers worked in residential areas, public curbs, and walkways of Starburst Plaza at the corner of Benning and Bladensburg Roads NE and the 700-900 blocks of 19th Street NE, in the 5th Police District; the 3700 to 3900 blocks of Minnesota Avenue NE, in the 6th District; and Martin Luther King Jr. & Malcom X Avenues SE, Morris & Elvans Roads SE, 16th & W Streets SE, and the 4200 block of 6th Street SE, in the 7th District. 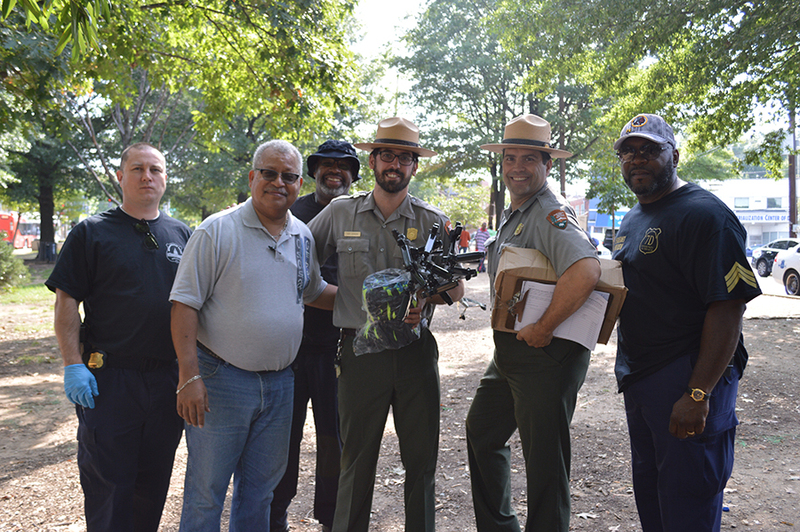 During this day of service, volunteers and residents of these neighborhoods not only engaged in an effort to clean up, but also supported a sense of community pride by decreasing litter and trash and bringing awareness to the city’s recycling program and quest for environmental wellness. 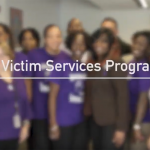 Effectively supervise adults under our jurisdiction to enhance public safety, reduce recidivism, support the fair administration of justice, and promote accountability, inclusion and success through the implementation of evidence-based practices in close collaboration with our criminal justice partners and the community.